First up, some super exciting news for me. I am now a Design Team Member for Atlantic Hearts. I am very excited to add this to my "resume" and look forward to sharing my sketch interpretations with you all each week. If you leave a comment on my Blog and then let me know on Facebook, you can be entered in a draw to win this card! How fun is that? Good Luck!! I was feeling inspired by the "Buzz & Bumble" Paper Pack from Close to My Heart (I just completed the Workshop on the Go for this last week!). I also love my Tim Holtz Distress Inks in antique linen and peacock feathers (for a POP of color). Here is my completed card! I started by distressing all the layers with the distressing tool. 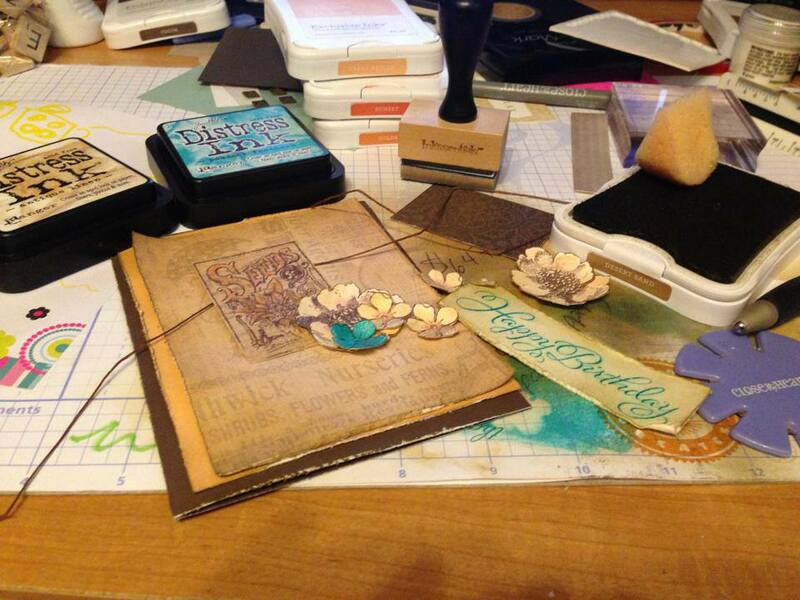 Then I used the wooden sponge too from Inkssentials to smudge the antique linen ink (Tim Holtz) around. Next, I sponged Desert Sand (CTMH) to darken the corners and edges. I really tried to bend some of the corners to age the paper. 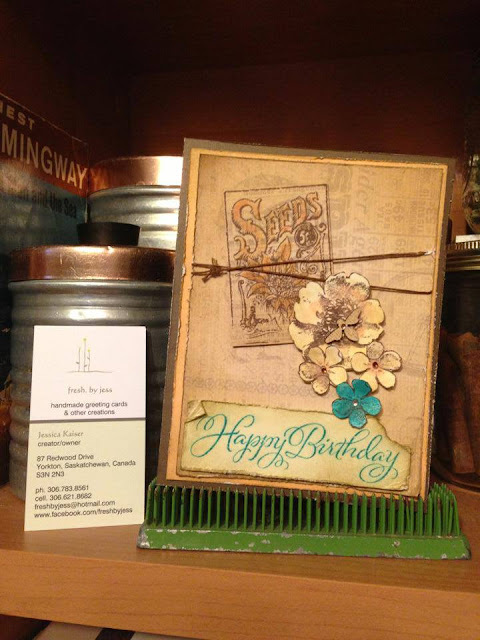 I just love using Waxy Flax (CTMH) on cards - in this case, I just tied some of the brown waxy flax around the top layer. I used the Buzz & Bumble stamp set to stamp the images, then hand cut them out. The blending pen from CTMH is great to color in those images with a slight watercolor look! The greeting is from Joyful Birthday Occasions (CTMH). I will share the completed scrapbook pages so you can see where my inspiration came from! These were straight from the Workshop on the Go (WOTG) instructions. What do you think? I welcome your feedback!!! Have a great day! I used the wonderful supplies I received in my Simon Says Stamp Kit of the Month to create this card. 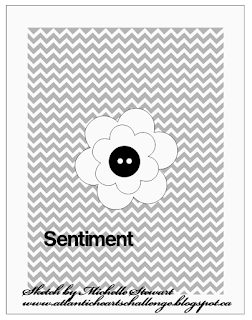 The Stamp used to make the mustaches & the sentiment are from Kelly Purkey's "Dude" set. 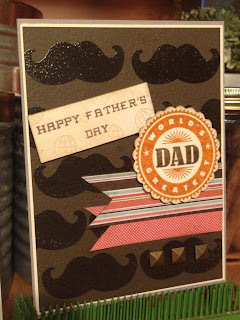 I stamped the mustaches on brown cardstock with Versamark and then heat-embossed them with clear embossing powder. 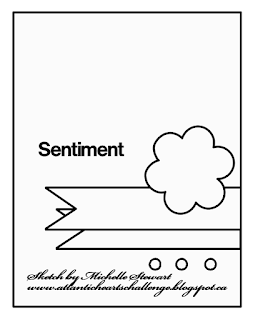 The sentiment is stamped using Chocolate ink from Close to My Heart. The "World's Greatest Dad" stamp comes from Close to My Heart's "Perfect Fit - Dad" set and I stamped it in Goldrush and Chocolate Inks. The embellishments are Durables squares from Close to My Heart. 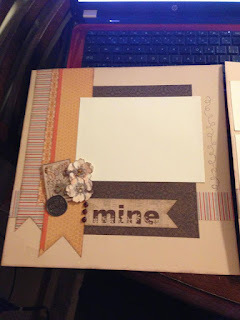 The patterned paper is from BasicGrey Hipster line ( a new favorite of mine! ). 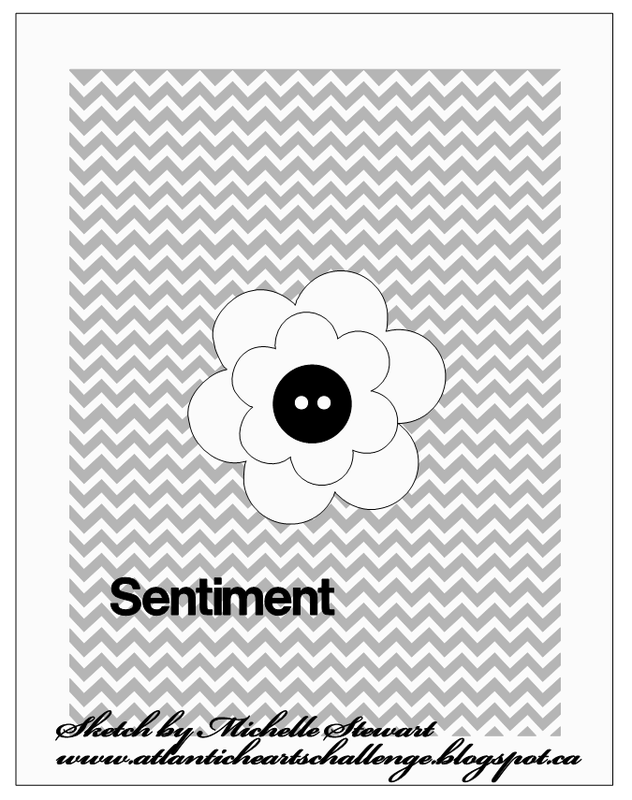 I hope you enjoyed this card! I sure had fun making it. Have a great day! It's been a long time since my last post! Sorry about that! 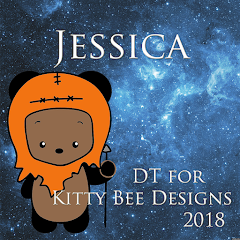 I am trying to focus more of my energy and attention on my crafting business, so hopefully this will be the first post of many regular ones (hopefully weekly!). I've been very busy making some Father's Day & more masculine cards recently. 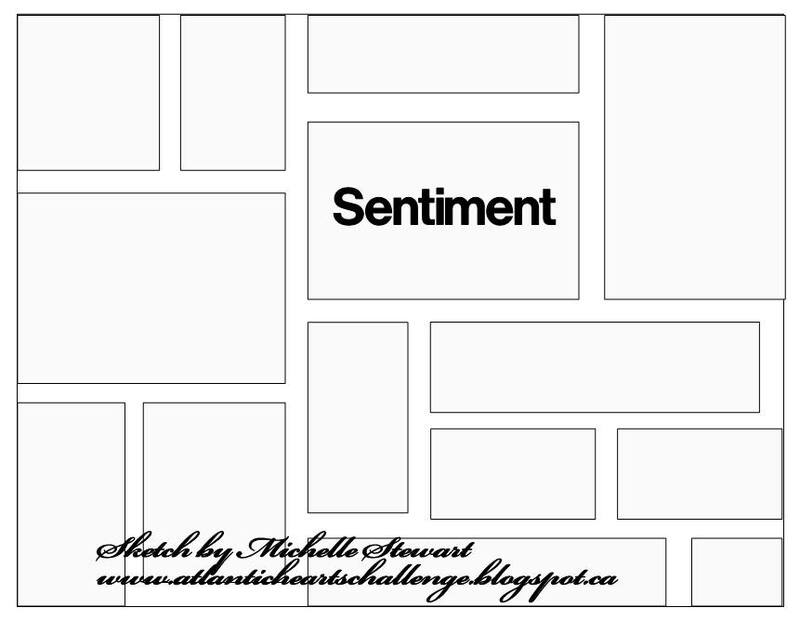 I am even entering one in a Sketch Challenge over at Atlantic Hearts Sketch Challenges. 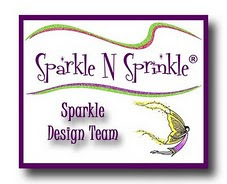 I am also going to apply to be on their design team! EEEK! First time adventure for this crafty girl. I will post some updated projects shortly. In the meantime, here are some of my Mother's Day creations. Remember, you can always check out my most recent projects over on Facebook: www.facebook.com/freshbyjess. Just wanted to pop in and say a quick hello. Glad to be back! 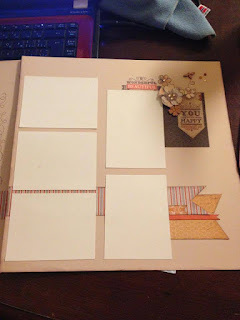 Most of the supplies for these cards came from October Afternoon - one of my favorites!